Preview - El Clasico Numero Tres: Champions League Semi-final first leg | The Real Madrid Fan! I don’t think anyone expected such a colourful response, which actually just reads like a painful, public breakup, from the usually reserved Guardiola. It will certainly create interesting possibilities for tonight’s game. Needless to say, getting a good result will be fundamental for our journey to Wembley – possibly to face Manchester United, who soundly beat surprise German contenders Schalke 0-2 at Gelsenkirchen. 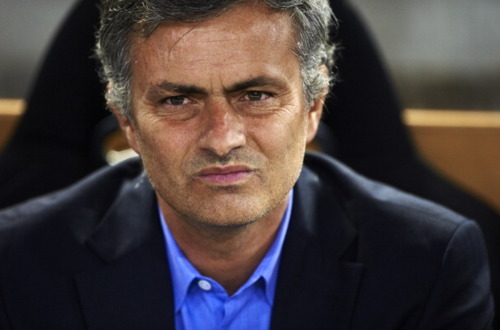 After the Copa del Rey, it is possible that we might see another change in tactics from The Special One. It has been said many times that Pepe’s role in the defensive midfield has worked magnificently in containing Barca’s attack, so I think we’re likely to see him back in that role. In defense, we will probably see Raul Albiol take over from the suspended Carvalho, while Arbeloa might come in as right-back, moving Ramos to the centre. Despite our ability to contain Barca’s free-flowing attack, we have not been incredibly threatening up front. Yes, we created chances, yes we won the Copa del Rey too, but going to Camp Nou with a slim 1-0 lead is never a good idea. The focus of tonight’s match should be on attack; I’d personally love to see Mourinho do away with a proper striker once more and shift Ronaldo to the right wing, and play Kaka in the middle. Kaka was fundamental in our win against Valencia, and I think he has found his form at the right time. We will also be without Sami Khedira who is injured, and therefore we’ll have to rely on Lass/Granero. I will readily admit, lately Lass has hardly done anything I might use to fault him, so I’ll be interested to see who makes the cut when the line ups are released. I’d personally go for both Lass and Pepe because I think they’d work well to keep the midfield steady, leaving Xabi Alonso with more opportunities to create attack. Kaka’s presence would provide that extra flair of creativity, no doubt complimented by Ronaldo’s finishing skills. While Lass is incredibly prone to committing fouls and getting carded, if he brings his A game tonight, he’d be the perfect man to break up Barca’s momentum. Combine that with Pepe’s ability to intercept passes, as was demonstrated over the course of the two Clasicos played so far, this duo might actually be very effective in controlling Barca. At the same time, this will also free up Marcelo to make his runs down the flank and put extra pressure on Barca’s defense. On the other hand, the temptation to play Higuain, especially after his emphatic hattrick against Valencia, might be great, but I’d rather he comes on later during the game. Ronaldo is more than capable of getting the goals for us, and with a shaky Barca defense, playing him would be more effective. And I still don’t trust Adebayor, so I’d rather he remains on the bench. As for Barca, even though Guardiola confirmed last night that Iniesta won’t play, I will believe it only when the line ups are announced. In his place, Guardiola said Keita will play – which is good news for us, because a mediocre Iniesta is still a lot more dangerous than Keita at his best. Defensively, both Maxwell and Adriano are out, which makes the idea of putting Ronaldo in wing more valid. It’s likely that Barca will play Puyol as left back; he is not yet 100% match-fit and it might give Ronaldo a slight advantage. There are two objectives that Real need to achieve in this match. First, they must keep a clean sheet and therefore eliminating Barca’s away goal advantage, and second, to get at least two goals tonight. Going to Camp Nou with a slim 1-0 lead is as good as buying Barca their plane tickets to Wembley. If we get a couple of goals tonight, I’m all for parking the bus in Barcelona. Just hope we end this game with eleven men on the pitch. For the first time, since Guardiola became Barca coach, the Catalans are starting on a back foot. However, this doesn’t meant they are any less dangerous and even the slightest bit of slip up from Madrid will cost us dearly. Let’s hope after the ninety minutes, it’ll be the tune of Hala Madrid echoing out of the Bernabeu! I think Real will continue their good run of one draw and one win against Barcelona in this third round of El Classico. Mourinho has prepared tactically for this clash, he knows Barcelona’s problems and Real should also be boosted by their latest performances.